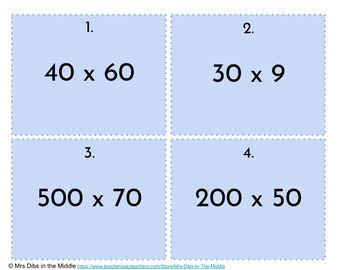 These task cards are designed for you to print and use! You can cut out and laminate the task cards so they last longer. 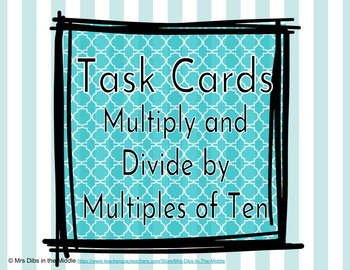 This product includes 24 task cards for multiplying and dividing by multiples of ten (12 multiplying and 12 dividing). Task cards can be used in many ways that are engaging to students.